The purpose of art is washing the dust of daily life off our souls. Cinema plays a key role in the entertainment scene today. Though it might not seem so at first glance, there are many people in the industry who work tirelessly for hours trying to give life to the images we see on screen. It is important to felicitate them because that is the only way in which we can show our gratitude to them for their invaluable service. 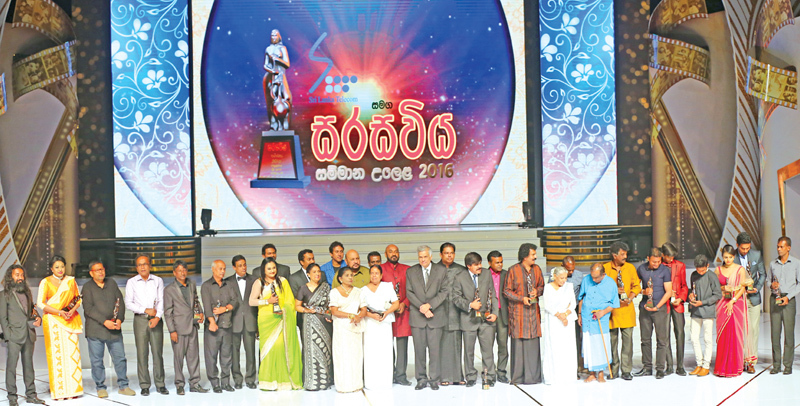 Sri Lanka’s oldest- running film awards, the Sarasaviya Film Awards, was held at the Neum Pokuna last Thursday. The event was staged after eight years. 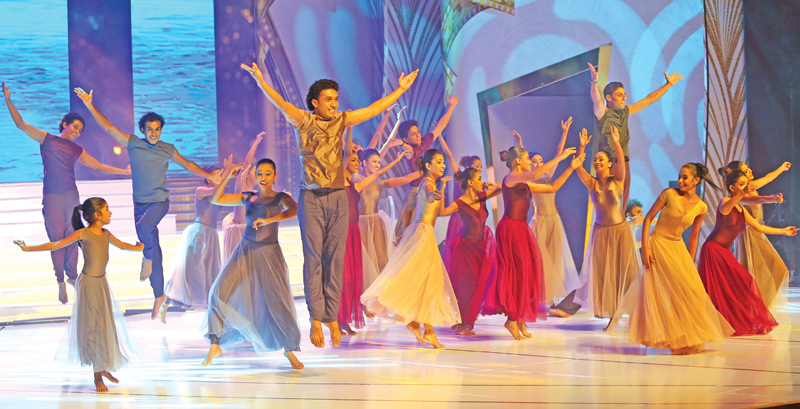 It was put together by The Associated Newspapers of Ceylon Limited and its arts weeky, the Sarasaviya magazine and sponsored by Sri Lanka Telecom. 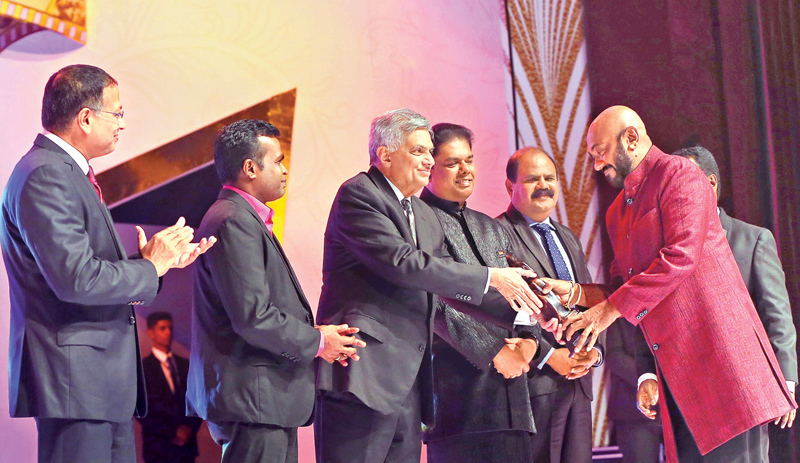 Prime Minister Ranil Wickremesinghe was the chief guest. Parliamentary Reforms and Mass Media Minister Gayantha Karunathilaka, Law and Order Minister Sagala Ratnayaka, Parliamentary Reforms and Mass Media Deputy Minister Karu Paranawithana, Social Empowerment and Welfare Deputy Minister Ranjan Ramanayaka and Chairman of Sri Lanka Telecom (SLT) Kumarasinghe Sirisena were among the guests. Former Editors of the Sarasaviya were also present. A specialty about this year's event was the absence of speeches by the guests and the chief guest. It was the celebrities who took to the stage at the gala event. Many mesmerizing performances entertained the crowd. Everybody enjoyed the various artistic plays, dance and music performances. 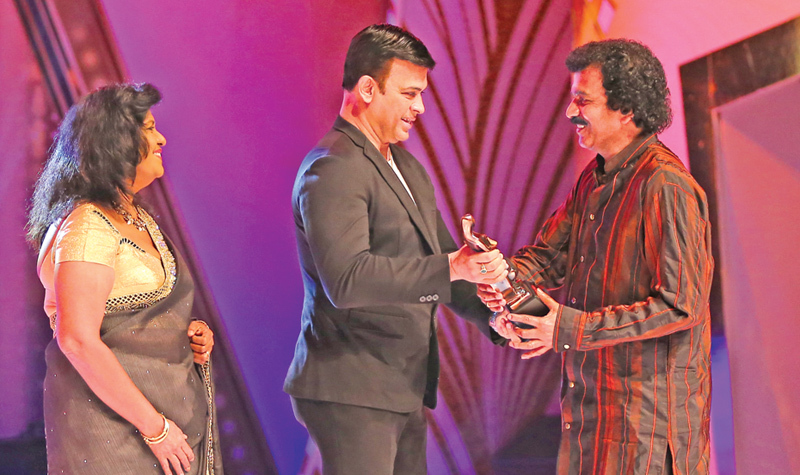 "The Sarasaviya Film Awards is a culture of its own. The ceremony has passed five decades now. It has a tradition of its own and I am a part of it. I have been a fan of local movies during the 1970s. This passion for the reel made me enter the scene. Since I have many years of experience linked with the Sarasaviya Film Awards I know the value of this award," Jackson said. He notes that this is the fourth time he has gotten a Sarasaviya award. He has 54 awards to his name and 15 out of them are Best Actor awards. "I am so happy that I won the award for Elara's character. He is the villainous character in the film. Most of the awards I have won are for villainous characters. Gini Avi Saha Gini Keli, Guerrilla Marketing and Agni Dahaya are a few examples. I believe that an artiste is like a lawyer. He or she should stand by the character through thick or thin. I would even play Adolf Hitler's role and stand by him if the role was offered to me. History always gives the accounts in favour of the winner. Therefore we do not have favourable accounts for Sri Wickrama Rajasinghe, Keppitapola and Vijayweera. However Ven. Mahanama has done justice to Elara in the Mahavamsa. I wanted to do justice to the role. I feel satisfied that my hard work has paid off," he added. The Best Actress was Indian actress Anjali Patil for her role in 'Oba Nethuwa Oba Ekka (With You Without You.) 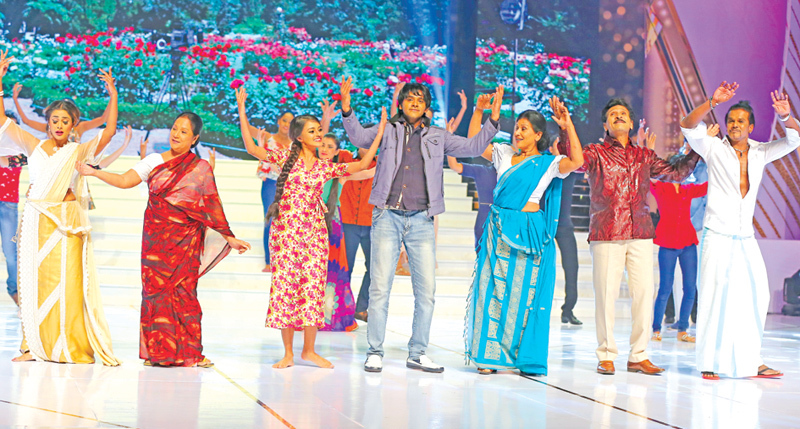 Jayalath Manoratne won the Best Supporting Actor award while Damita Abeyratne won the Best Supporting actress award. "It is wonderful that the awards ceremony is back after eight years. We have been requesting the authorities to revive it for many years and it has finally become a reality today. I am honoured that I am an award recipient. 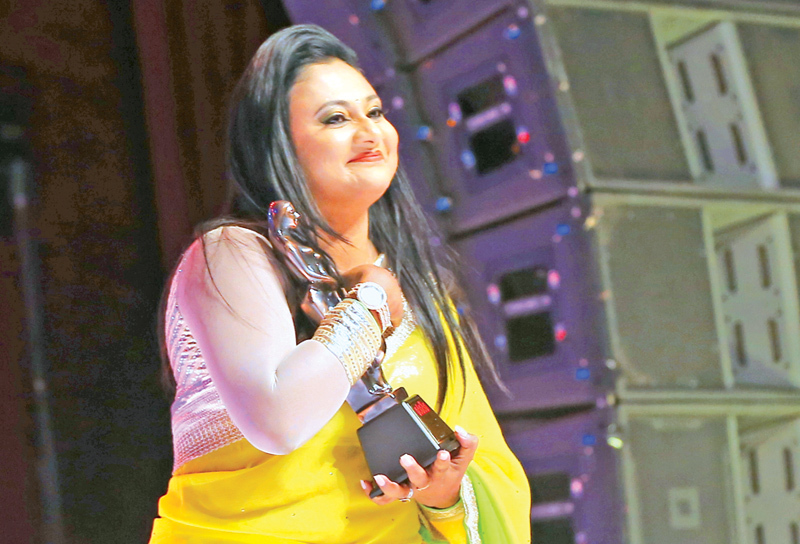 I have won four Sarasaviya Film awards so far," she said. She adds that this award comes with a lot of duties towards enriching the industry. She also says that it would be good if the organisers can give awards like Best Fight Director and Best Comic Act. "The function was perfect. It ran for about four hours and we did not become bored at any stage. 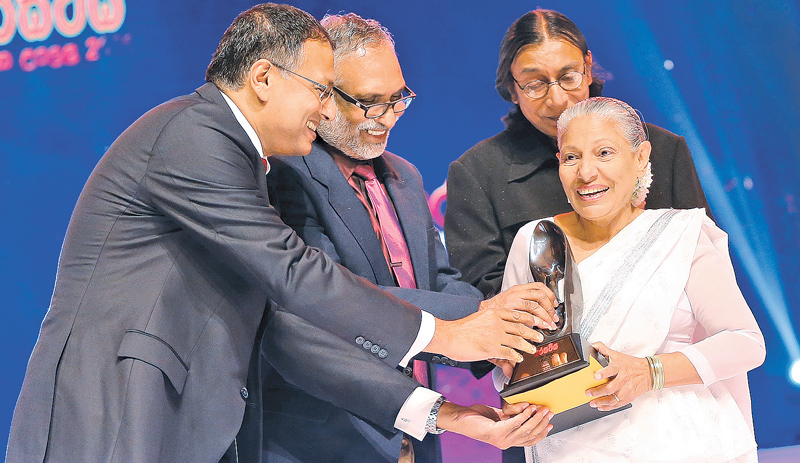 I would like to thank Sri Lanka Telecom too for making Sarasaviya Film Awards 2016 happen," she said. 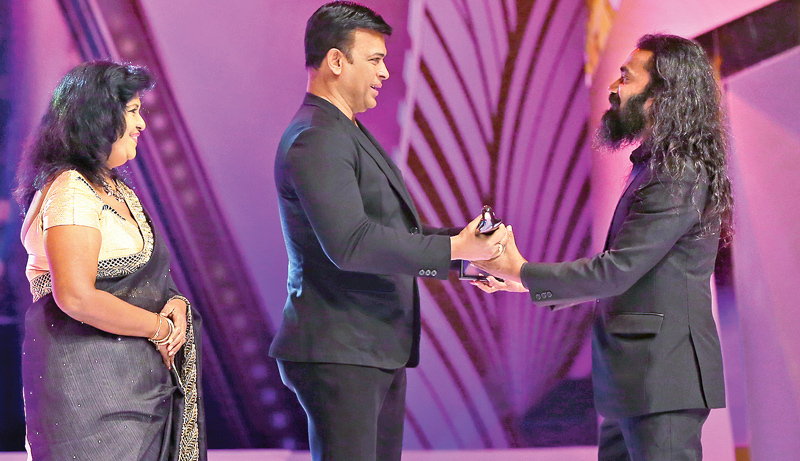 The Best upcoming Actor was Ishara Wickremasinghe for his role in 'Ira Sevaya' and the Best upcoming Actress was Anitya Subasinghe for 'Ho Gaana Pokuna'. The Most Popular Film award was bagged by the film 'Maharaja Gemunu'. 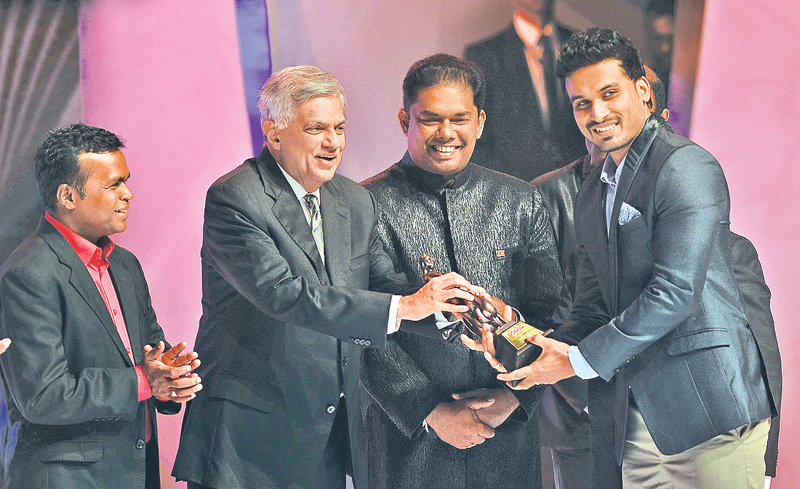 Jackson Antony receiving his award from Prime Minister Ranil Wickremesinghe. ANCL Chairman Kavan Ratnayaka and Media Minister Gayantha Karunathilake look on. Hemal Ranasinghe receiving his award. Best Director (Oba Nethuwa Oba Ekka) Prasanna Vithanage. Sujatha Attanayake receiving her Sarasavi award from ANCL Chairman Kavan Ratnayaka. 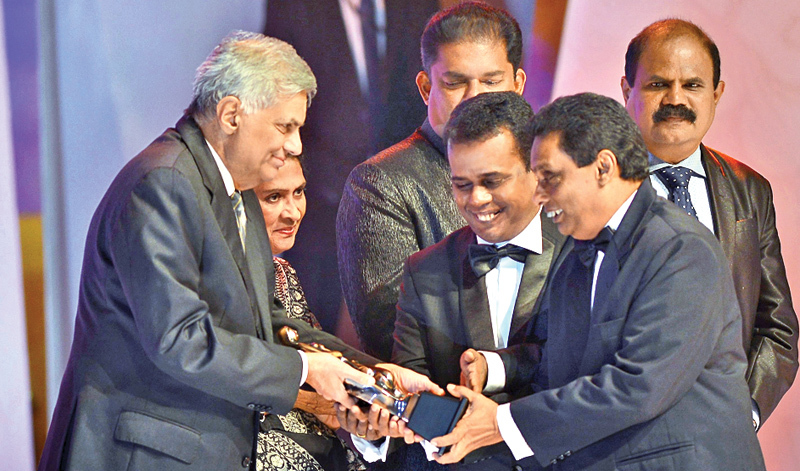 Edward Jayakody receiving his award from Deputy Minister Ranjan Ramanayake. 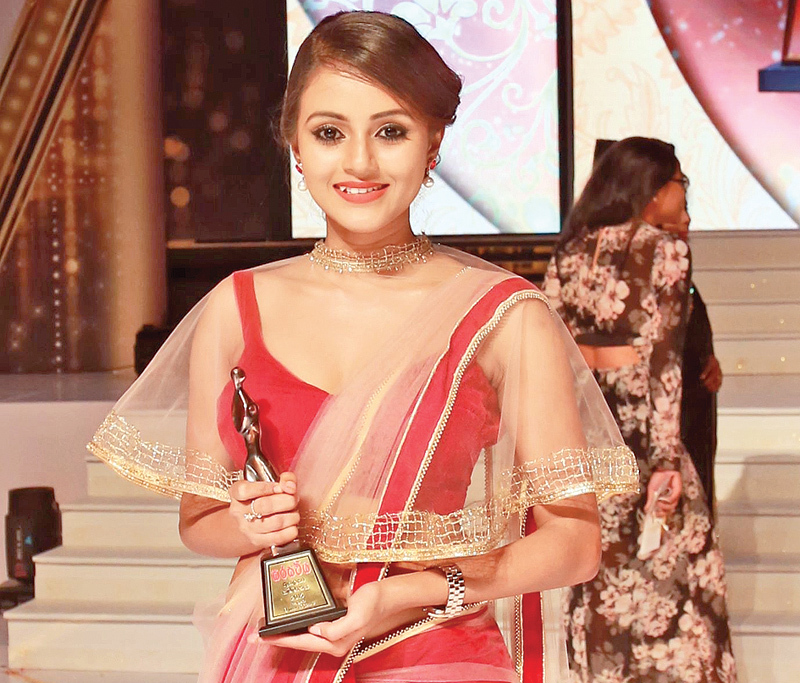 Dinakshi Priyasad with her Merit award.